We have some upcoming Wauwatosa events! You know we’re all about food around these parts, but as much as we would love to make every get-together be about brownies, we know we should branch out every now and then. With that in mind, please save the date for three fun events happening in The Real Good Life kitchen in Wauwatosa this spring. Y’all know you’ve been coveting all the pretty hand-scripted prints, pillows, and invites. Now you can learn how to do it yourself! 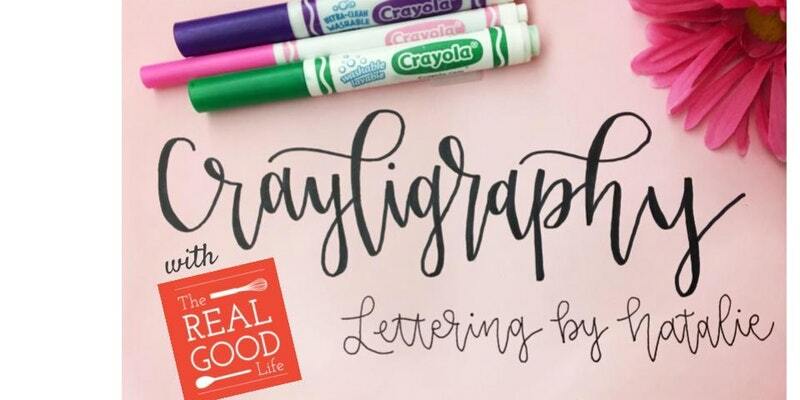 Join us for an individualized 2-hour class to learn the art of Crayligraphy – modern calligraphy made with Crayola markers. Light snacks will be included. No worries about #momguilt for this fun night out. Hang out with your girlfriends, enjoy a few nibbles, and still get dinner on the table. Well, maybe you won’t be in charge of dinner that night, but you will go home with three meals for four ready to pop in your freezer. Meals will be made for the grill, crockpot, InstantPot or the good ole microwave as we get ready for warm weather cooking. Stay tuned for more details and to sign up for this Wauwatosa event. 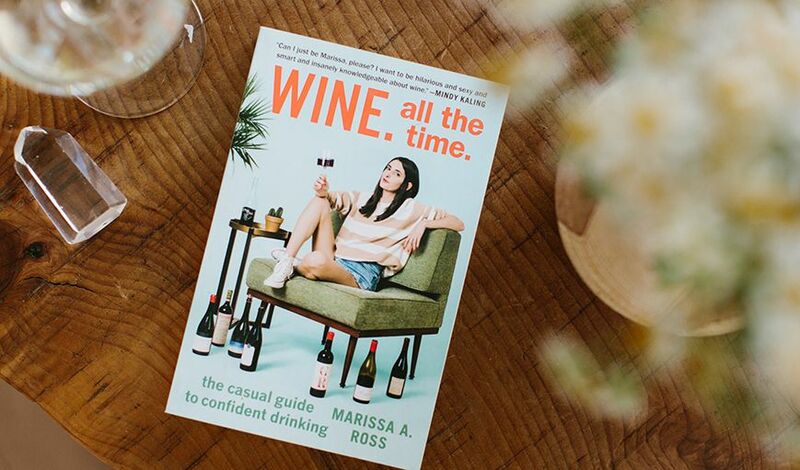 I first read Marissa Ross’ book, Wine. All the Time. The Casual Guide to Confident Drinking, last summer and it rocked my world. As a hospitality management major, I was one of the lucky few who got to attend the three credit wine and spirits class back in college. I’ve read other books and magazines and attended tastings, but this was the first book where it all actually started making sense to me. 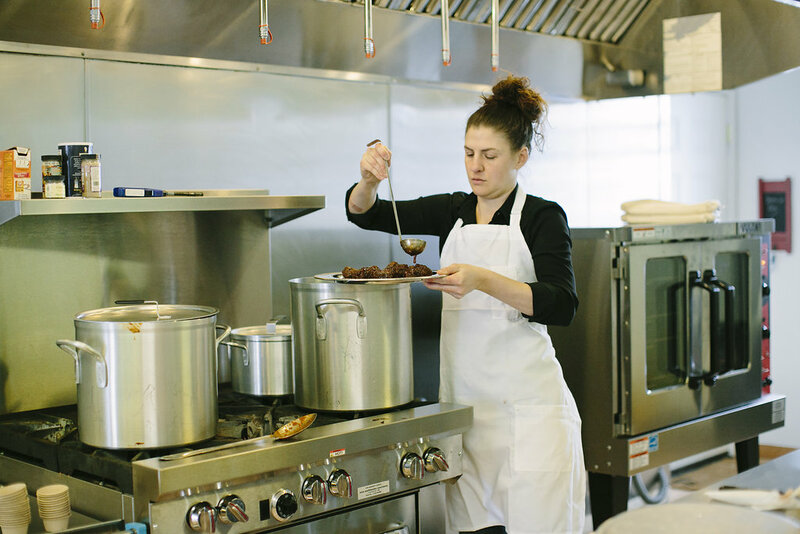 Marissa’s conversational style makes wine so approachable. And any excuse to try a new bottle, amiright?! I’m still trying to figure out how we do this meetup. I mean, obviously, we need to be able to try new bottles, so do we all bring a bottle of our favorite or take a field trip to one of Milwaukee’s many wine shops? While I figure out those details, go get yourself the book. Finally, homework everyone can be excited about. What other kinds of Wauwatosa events would you like to see sponsored by The Real Good Life? Let us know and we’ll see what we can do. It was such a wonderful surprise to see Maggie and that Cooler at my Door last Wednesday, June 13th, 2018. I am thoroughly, enjoying everything! I am cooking the Pork Chops, and Squash for this evening! In getting used to being and eating alone after having my husband for 49 years, (and 4 Children) this gift from Melissa, Kelly, Claire and Julie, is so much appreciated! Each and Every item has been delicious! I highly recommend THE REAL GOOD LIFE! !